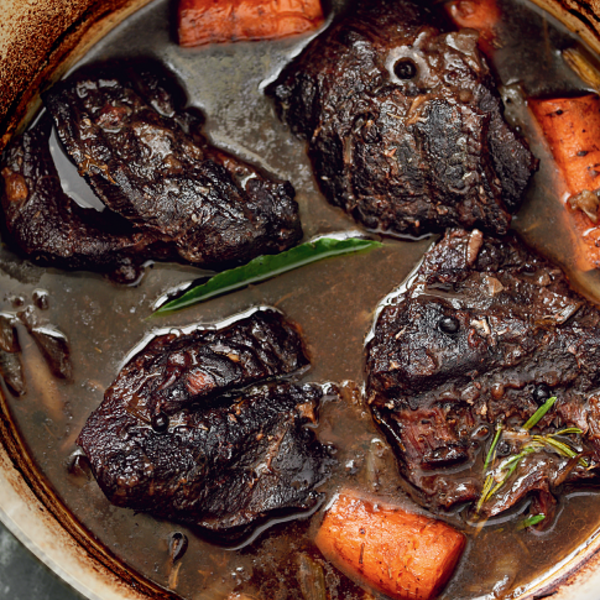 Braised Beef Cheeks (Brasato di Guanciale di Manzo), a slow cooked Italian casserole dish using Barolo wine. This melt-in-the-mouth main course recipe is wonderful served with either potatoes or polenta. There are many braised meat dishes in Italy, but the best ones I have eaten were generally in regions where both meat or game are exceptional, and the wine too. In northern Italy perhaps no region better fits those specifications than Piedmont. 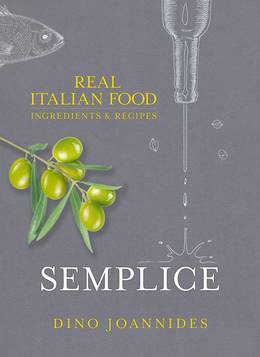 It is therefore no surprise to see many recipes for various cuts of beef braised in Barolo or other notable but less expensive Piedmontese wines. 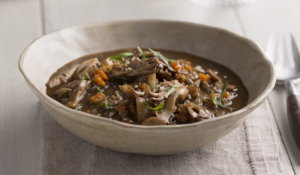 Of course, many excellent dishes of beef braised in wine exist in other countries, most notably boeuf Bourguignon and daube a la Provencale in France. I have to say that the dishes I have eaten in Lombardy, Piedmont and Emilia-Romagna are much closer in style and taste to the French ones than some of the versions in central and southern Italy, where tomatoes may part of the mix. 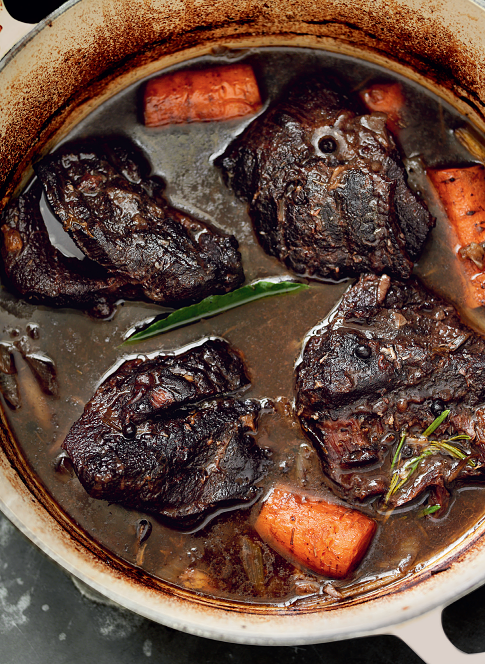 I sometimes cook this dish with a combination of beef cuts, normally cheek, oxtail and shin, all three of which are perfect for long braising, but if I had to pick only one, I would choose the cheek. 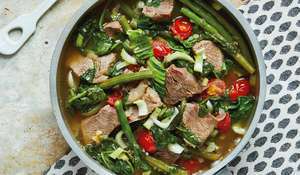 You can use pork or veal cheeks if you prefer, but cook the latter for about 30 minutes less than the beef. 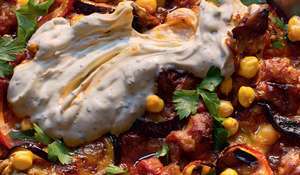 This recipe deliberately makes a large amount as the leftovers can be used in other fantastic dishes. 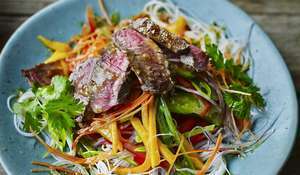 Some versions of this dish suggest marinating both the meat and vegetables overnight in half a bottle of wine. I think only the meat requires this, as I do not believe that onions, celery and carrots are enhanced in any way by this process. If anything, they become more acidic, which probably explains why some recipes include sugar. Trim the cheeks of any excess fat, but do not remove all of it. Place them in a large earthenware bowl or plastic container, add half the wine, then cover and leave in a cool place (7-8°C) for 12-24 hours. If you can't find such a cool spot, you can put them in the fridge. When you are ready to cook, lift the meat out of the marinade and dry it on kitchen paper. Set aside, and reserve the marinade for later use. Chop the onions fairly thicldy but keep the carrot and celery whole, as they will be discarded later. 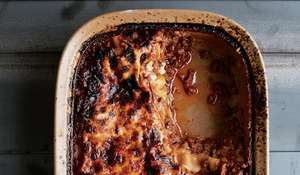 Heat half the oil in a large, cast-iron casserole dish (an enamelled one is ideal). Add the onions, carrots and celery and garlic and stir them every now and then over a high heat to ensure they are coated in oil. Just as the onions begin to colour, take all the vegetables out of the dish and set aside. Add the remaining oil to the casserole dish. Sprinkle the cheeks with the salt, then place in the dish and brown thoroughly. Return the vegetables to the dish and add the bay leaf, peppercorns, juniper berries and rosemary. Mix with a wooden spoon, then add the marinade and remainder of the wine. Taste and adjust the seasoning, if necessary. Increase the heat to deglaze the dish and evaporate the alcohol. Now add the stock, ensuring it is level with the meat but not above it. Bring to the boil, then cover and simmer on the hob for 30 minutes. Meanwhile, preheat the oven to 160°C/gas mark 3. Transfer the casserole to the oven for 3 hours, turning the meat every 20 or 30 minutes. If the liquid reduces too much and there's a danger of the dish drying out, add any remaining stock or some water. By the end of the coonng time, the liquid should have reduced by about half. When the meat is cooked (it should be tender enough to cut with a fork), discard all the vegetables. Strain the liquid through a sieve, then return it to the casserole. 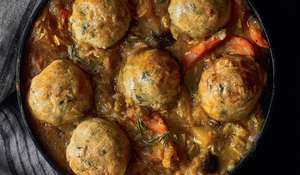 The dish can be served with boiled or mashed potatoes, or polenta, assuming your previous course is not heavy on carbohydrates. If you want to have vegetables with this dish, discard all those in the casserole 15 minutes before the end of the cooling time and add some freshly sliced carrots.